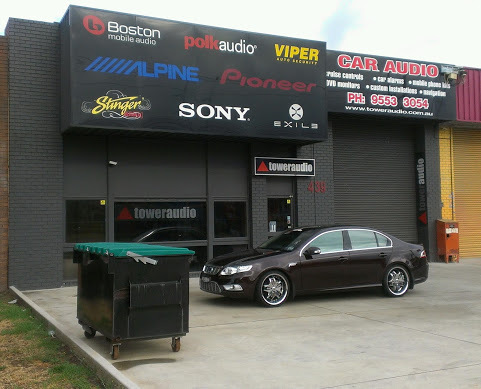 Based in Cheltenham, Melbourne, Tower Audio is the renowned car audio shop. From design, installation, tuning to guiding our clients to operate the system, we are your one-stop-shop for all your car audio needs. No job is too small or big for us. We pride in offering a high standard of workmanship at the most affordable rates. Our designs are unique for every customer and we’ve proudly built dozens of competition winning systems. With more than 20 years of experience and expertise, we are capable to recommend the right products that suit our client needs and budget. We are trade qualified installers and teachers of automotive electronics for T.A.F.E. certified courses. We use scientific facts and theory as well as hands on skills to design and install quality audio systems. Call us or for an obligation free price quote or visit our shop to explore the wide range of the products available. Don’t forget to check our website.